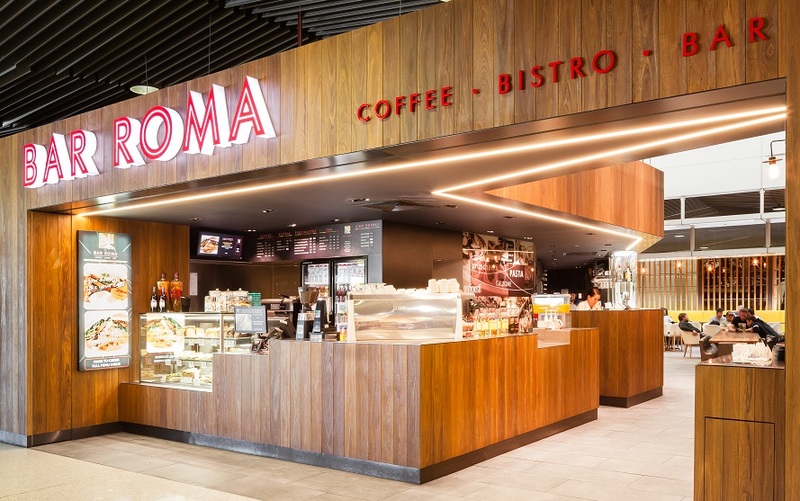 Bar Roma’s décor is blond wood and bold colours, and its merchandising draws on the authentic flavours and unique warmth of a true Italian offer. The seating area is supported by a range of styles, including lounge, dining and café. 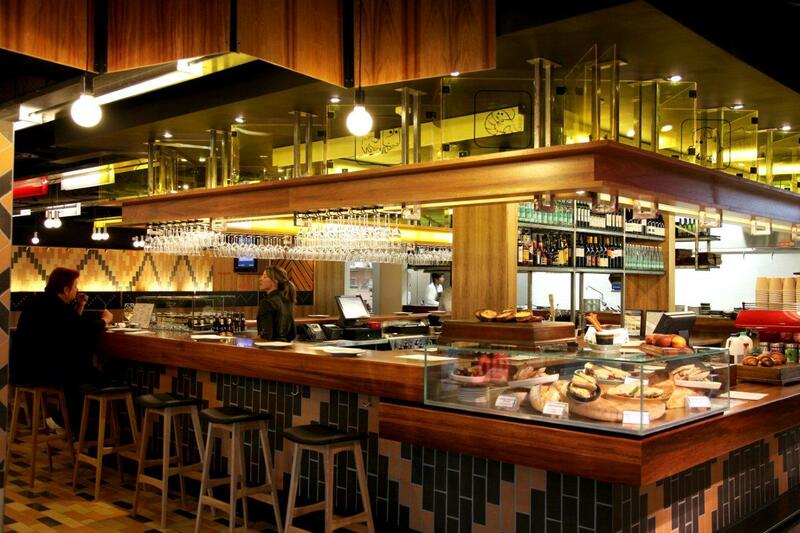 As well as Roman thin crusted pizzas and great pastas, Bar Roma offers an extensive breakfast menu - cooked to order. Bar Roma has a full bar stocked with a great range of local and imported wines with beers on tap. 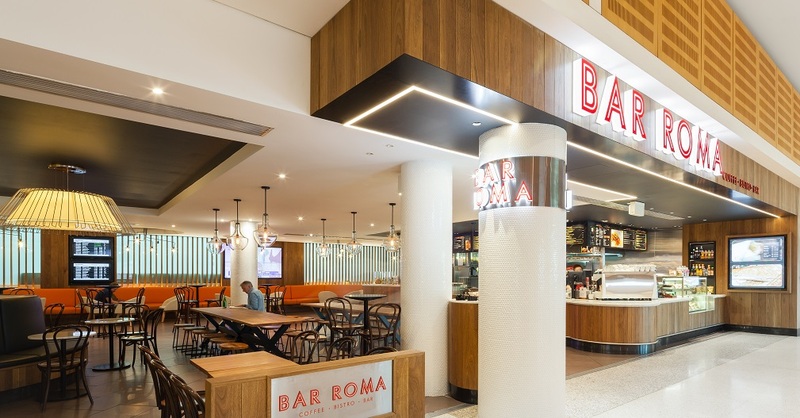 Relax in front of the mega TV screen and enjoy Bar Roma at Sydney Qantas Domestic Terminal and Brisbane Qantas Domestic Terminal.